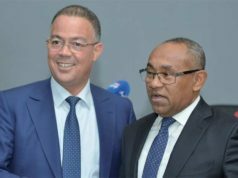 Rabat - The Atlas Lions are shining in the African Nations Championship. 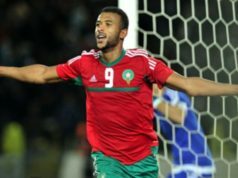 Morocco’s Ayoub El Kaabi scored a hat-trick that enabled his team to strengthen its lead of Group A.
Rabat – The Atlas Lions are shining in the African Nations Championship. Morocco’s Ayoub El Kaabi scored a hat-trick that enabled his team to strengthen its lead of Group A. 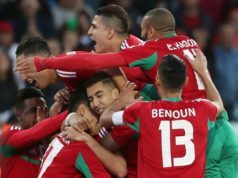 The Moroccan football team of local players beat their Guinean peer 3-1 in the second match of the first round (group A) of the 2018 African Nations Championship (CHAN-Morocco) on Wednesday in Casablanca. With this second victory against Guinea, Atlas Lions will not have to wait until the last match against Sudan, next Sunday, to secure their ticket for the second round of the tournament. 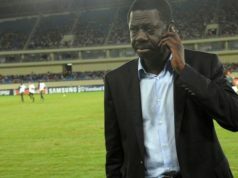 This was the host’s second successive victory after having defeated Mauritania on Saturday, January 13. Ayoub El Kaabi opened the score for Morocco at the 26-minute mark. Guinea was very quick in responding to Morocco’s goal. Saidouba Bissiri leveled the score one just a minute after Morocco’s first goal. 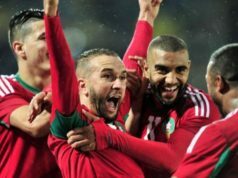 At the 64th minute, Morocco doubled the score to the delight of over 40,000 supporters. Four minutes later, El Kaâbi scored the third goal of the match. This win allows the Atlas Lions to retain their first place in the group (6 points), ahead of Sudan (3 points) which will face Mauritania later in the evening. Morocco will play its third game against Sudan, which occupies the second position in group A with 3 points. With its second consecutive defeat in the tournament, Guinea, which played the semi-finals of the CHAN 2016 in Rwanda, stands no chances to qualify for the second round.